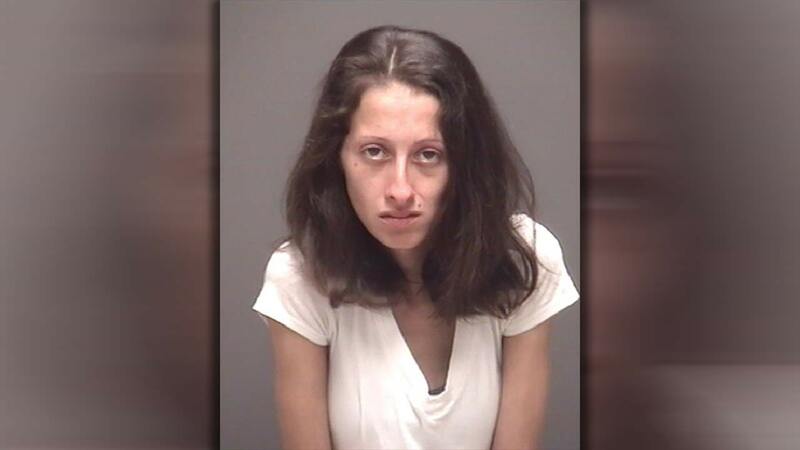 GALVESTON, TX (KTRK) -- A woman could spend the next 10 years of her life in prison over the death of her baby girl, after she tied pajamas around the child's head while she cried. Kayla Monique Stouten-Orozco, 24, was charged with murder in the death of 15-month-old Estrellia Elecia Enriquez. Estrellia died on September 15, 2014. One of Stouten-Orzco's other children told authorities that Stouten-Orzco, tired of listening to her daughter cry, tied a pair of pajama bottoms around the child's face and head. The child attempted to get the pajama bottoms from around the baby's face but was unsuccessful. Stouten-Orzco eventually asked a neighbor to call 911 for help. EMS testified that Estrellia had already been dead for about 1 to 2 hours by the time they got there. The jury found Stouten-Orozco guilty of a lesser charge of endangering a child. She was sentenced to 10 years in the Institutional Division of the Texas Department of Criminal Justice for the felony offense of endangering a child. Stouten-Orzco will not be eligible for parole until at least one half, or 5 years, of her sentence has been served.